With unemployment at a 17-year low, this years holiday rush for qualified seasonal workers may resemble a Black Friday stampede for the latest tech gadget. With talent scarce, many retailers started recruiting seasonal hires as far back as September(!). So how do you find reliable seasonal help when the holidays are just around the corner? These nine tips can help your company hire the best seasonal employees. Some employers, such as Walmart, are forgoing some of their traditional seasonal hiring practices this year, and instead opting to give extra shifts or seasonal bonuses to permanent employees, based on the expectation that they will be working harder, longer hours to meet seasonal demands. Another way to leverage your existing workforce to meet seasonal labor demands is to encourage employee referrals. Your employees already understand your company culture and business practices. They know what kinds of skills and personal traits flourish in your workspace. So why not consider offering a referral bonus for employees who recommend new hires? Encourage employees to consider recommending family and friends looking for temporary employment, and be sure to suggest they think about the seniors and students they know. Consider hiring students, and get your job posts out to sources they see. Create local partnerships with instructors and program directors at local high school and college programs. For example, if you are in food services, reach out to the local community college culinary program. For young people, highlight that a seasonal work experience can help them gain valuable skills, like customer service. Low unemployment rates mean a shrinking talent pool to choose from, especially for entry-level temporary employees. Applicants, especially younger workers, are likely to feel more confident about asking for higher wages and more flexibility. Try to meet them halfway. Many of today’s younger workers are taking part in the gig economy. Offering them a bit more flexibility in scheduling for a first-time seasonal position now might pay dividends in the future as these talented, driven workers mature into the full-time employment market. Did you have any exceptional summer interns or seasonal workers? Contact them directly and see if they are open to seasonal work. You might even consider giving a second chance to workers who were let go for minor infractions, particularly missed work due to transportation. Reliable transportation can present obstacles for even motivated entry-level workers. Find out if you can include transportation as part of your employee package and welcome former employees back on a provisional basis. Consider using apps like Shiftgig to find emergency fill-ins for gaps due to last-minute absences. Not only will this help you find qualified workers to pick up extra shifts, but it can also be a way to find new hires. If you are a national brand, use social media strategically, as well as geographically, to find employees in the markets you need them most. Optimize your use of telecommuter technology and consider making as many jobs as possible work-from-home to attract untapped talent. Also, consider using recruiting tools that provide free job postings, and allows you to manage all candidates from one centralized location. If there is a project that needs to be implemented during the holiday season, hiring a contractor rather than a seasonal worker could save money and give you access to the talents of individuals who are not interested in working directly for an employer. Contract workers typically have a high degree of control over their day-to-day tasks and as such are not necessarily required by law to be on payroll covered by employer insurance and benefits. To make the most of short onboarding windows during the holiday rush, why not implement a mentoring approach? Pairing new hires with long-term employees. 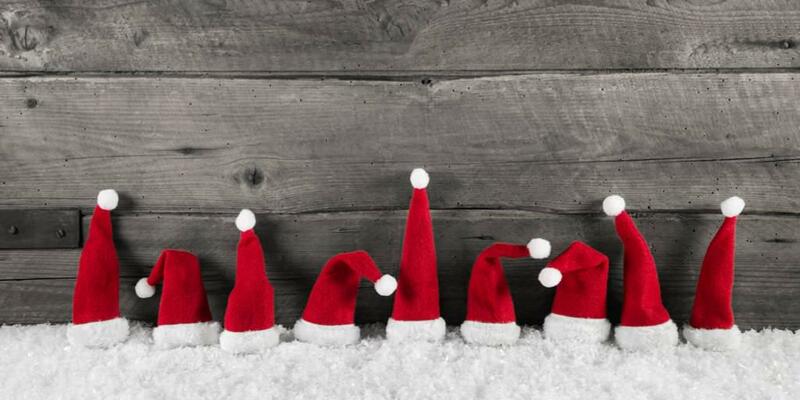 The best strategy to secure top holiday talent is to start early and get a jump on the competition. Start looking early, and factor in time for vetting and training, and stick to the deadlines you set. Some employees like to come back to the same employer each holiday season, while others may tell friends, relatives, or classmates that your company is a good one to work for come next holiday season. So focus on making sure you are providing seasonal hires with a good employee experience. Poor employee reviews on job sites can hurt your chances of attracting top temporary seasonal workers as well as permanent hires. Treating seasonal workers the same way you treat permanent workers, and making sure they have a fulfilling employment experience, can lay the groundwork for next year’s seasonal workforce. Best of luck with hiring your seasonal employees! 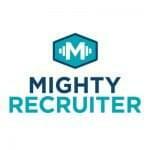 MightyRecruiter’s intuitive, comprehensive recruiting solution is now free. Post to multiple job boards, source passive candidates, manage applicants and hire the most relevant people, all for no cost! And register now for MightyRecruiter’s upcoming webinar, How to #FightSpam and Avoid Follow-Up Fails: Best Practices for Candidate Communication featuring Katrina Collier, Steve Levy, and Ann Barzman. The webinar happens on December 1, 2017—snag your spot today! Here's the slide-deck from my presentation at the Social Media in HR summit at the Gresham Hotel today - do you have social engagement strategies for your company? What are they? Put your feedback in the comments.